Now that winter is upon us, it seems like many of us have to make an effort to fit fresh fruits and vegetables into our diets. Instead, we often turn to fatty or starchy comfort foods. But one vegetable (which is actually a fruit) that we can take advantage of all year round is the avocado. The avocado seems somewhat mysterious in terms of what the heck it actually is. By botanical definition, the avocado is a fruit. A fruit is the part of the plant that develops from a flower. And, it’s the part of the plant that contains the seed or seeds. Other parts of the plant, like the stem, the leaves, and the roots are the vegetables. Based on this definition, then, an avocado is a fruit. We’re used to fruits being sweet and vegetables being savory. 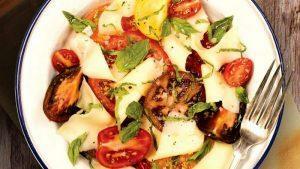 (But you might be interested to know that other “fruits” include beans, corn, nuts, grains, tomatoes, and cucumbers.). Those 29 grams of fat are not insignificant; however, the type of fat in avocados is primarily monounsaturated fat, a heart-healthy fat that can help lower LDL, or “bad,” cholesterol, and lower the risk of heart attack and stroke. In addition, the type of fiber in this fruit is both insoluble and soluble, which means that it can help regulate digestion and lower cholesterol and blood sugars at the same time. Keep an eye on the amount of avocado you eat, though, especially if you’re watching your weight: a serving is one ounce, or about one-fifth of a medium avocado. 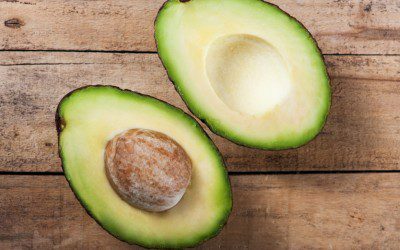 There’s more to an avocado than just its fat and fiber content. Avocados also contain potassium, B vitamins, vitamin C, vitamin E, and vitamin K.
Lowering cholesterol levels. In one study, people who ate an “avocado-enriched diet” had a 22% drop in LDL cholesterol and an 11% increase in HDL, or “good,” cholesterol. Supporting a healthier weight and body-mass index (BMI). In another study, people who ate avocados were more likely to have a lower body weight, waist circumference, and BMI. Supporting a healthier blood pressure level. An avocado provides 14% of the RDA for potassium and contains more potassium than a banana. Studies have linked a high potassium intake to lower blood pressure levels, which, in turn, is linked with a lower risk of stroke, heart attack, and kidney disease. Lower cancer risk. While there isn’t a whole lot of evidence, some studies have shown that avocados may halt the growth of prostate cancer cells, and also protect cells from the side effects of chemotherapy. Healthier vision. Avocados contain the antioxidants lutein and zeaxanthin, which protect the eyes from cataracts and macular degeneration. As a spread for toast. Skip the butter or cream cheese. Mash up part of an avocado, stir in some chopped fresh cilantro and a squeeze of lime juice, and spread it on whole-grain toast or an English muffin. Add some protein by topping it off with a poached egg. On sandwiches. Any sandwich will taste better (and be healthier for you) with a few slices of avocado. Try it with turkey, lean ham, or tuna. In salads. One of the best ways to enjoy avocado is right in your salad. Sliced, diced or cubed, avocados are a welcome addition to your favorite salad recipe. As a topping. Finish off your black bean soup with a few slices of avocado. Avocados make a great topping for baked potatoes, too. In a smoothie. If you’re a smoothie lover, consider blending some avocado into your drink. You probably won’t taste it, but it will provide a nutrition boost and lend a creamy texture. With eggs. Avocados and eggs go hand-in-hand. Try adding chopped avocado to your scrambled eggs or omelet. And for a unique treat, give this “Eggs Baked in Avocado” recipe a try. With all these good things going for avocados, I’ll give them an A+!